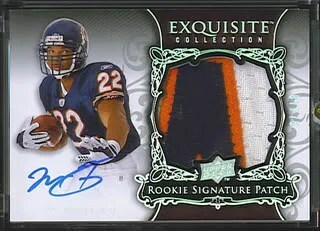 Matt Forte hit the ground running with the Chicago Bears in 2008. He showed quickly he could be a factor out of the backfield both running and catching the football. In 2009, he has struggled to find the same success. He could be a ‘buy low’ player starting in 2010. Here is a price history of Matt Forte on eBay .